Question: How do you know when your website has “arrived”? That’s right! If you’re like Facebook… hold on, no one is like Facebook… anyway, if you have a really popular website, then you can probably safely guess that you’re doing pretty good when all of sudden your site actually has it’s own currency. Facebook has grown to that level – and fast too! 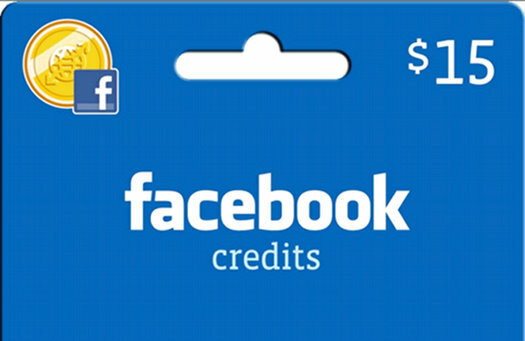 Facebook credits is the currency of choice of most major games within the social network. According to Facebook, Facebook Credits is a virtual currency that enables fast and easy transactions across games on Facebook. With Facebook Credits, people enter their payment information once and can buy, earn and spend safely across lots of different games. Facebook Credits is currently used in more than 350 applications from 150 developers, representing more than 70% of virtual goods transactions volume on Facebook. And Facebook is ready to up the ante as well with, starting July 1st, requiring all games within the Facebook canvas to use Facebook Credits. Not only is this a huge leverage for game developers on Facebook, but Facebook will be keeping 30% of all transactions that occur through Facebook Credits. So this makes it another HUGE source of revenue – something Facebook has really been pushing hard to bring in line. Read more about Facebook Credits.